We analyse the self-consistency of inflation in the Standard Model, where the Higgs field has a large non-minimal coupling to gravity. We determine the domain of energies in which this model represents a valid effective field theory as a function of the background Higgs field. This domain is bounded above by the cutoff scale which is found to be higher than the relevant dynamical scales throughout the whole history of the Universe, including the inflationary epoch and reheating. We present a systematic scheme to take into account quantum loop corrections to the inflationary calculations within the framework of effective field theory. 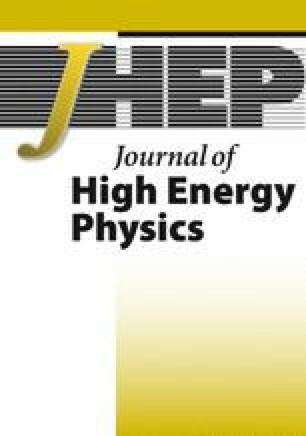 We discuss the additional assumptions that must be satisfied by the ultra-violet completion of the theory to allow connection between the parameters of the inflationary effective theory and those describing the low-energy physics relevant for the collider experiments. A class of generalisations of inflationary theories with similar properties is constructed. S. Ferrara, R. Kallosh, A. Linde, A. Marrani and A. Van Proeyen, Superconformal Symmetry, NMSSM and Inflation, arXiv:1008.2942 [SPIRES]. A.O. Barvinsky, A.Y. Kamenshchik, C. Kiefer, A.A. Starobinsky and C.F. Steinwachs, Higgs boson, renormalization group and naturalness in cosmology, arXiv:0910.1041 [SPIRES].